Our inaugural Torch Memorial Prize for Creative Nonfiction was a tremendous success, attracting nearly 200 submissions. Final judge Eula Biss called Clinton Crockett Peter's winning essay about Australia, "Rabbits and Convicts," very strong, very readable," giving her moments of pause throughout. We're excited that next year's judge will be the incomparable Patricia Hampl, author of A Romantic Introduction and The Florist's Daughter, who was one of the keynotes at our summer bicentennial conference. Nearly five hundred writers, artists, and scholars from around the country joined in the conference festivities. 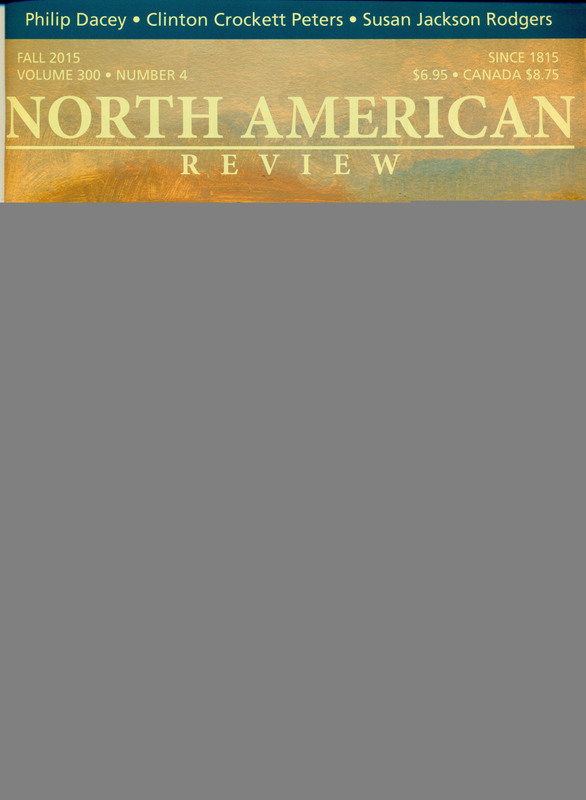 On the heels of the conference and the publication of The Great Sympathetic: Walt Whitman and the North American Review, the newly revived NAR Press also now plans to publish two books every year. Keep an eye out for in 2016 for a book on the craft of fiction as well as a collection of essays by and about the naturalist John Burroughs. WE promsie not to wait a hundred more years before throwing another grand literary party! This issue's peotry featrues a diverse and provocative suite of peoms selected by guest editor Heid E. Erdrich to honor Native American Heritage Month. Fiction includes Susan Jackson Rodgers's "Keep Me in the Dark," about a woman's brush with "transgression"; Todd James Pierece's "Ink & Paint," which explores a woman's desire for elbow room in the male-dominated field of Disney animation; and Joseph Scapetello's deconstruction of the entire masculine mythos of the Western in "Horseman Cowboy."